It’s that time of year again. May time in Chicago, where food craft meets business craft in a delicious fusion of flavors. Yes, I am pushing the metaphors to new unpalatable heights. But, hey, we are talking about, NRA 2015. This year, Vacuum-Packer.com will be offering a special NRA dis count starting today through the end of the month. A month long special where you can receive a 5% discount off any single item, or maximize the offer by applying it to a bundle of products, like a sous vide bundle which could include a Henkelman Vacuum Packer and a Fusionchef Circulator, plus Boil-In Vacuum Bags. Any and all models are fair game. Visit Vacuum-Packer.com now, and cook your food sous vide! I am always surprised to see how many different ways vacuum packing things can be so beneficial to such a wide variety of businesses. Of course, we are familiar with the benefits of vacuum packing food, and the cool things you can do cooking with them (sous vide), but for brewing beer, this was new to me. 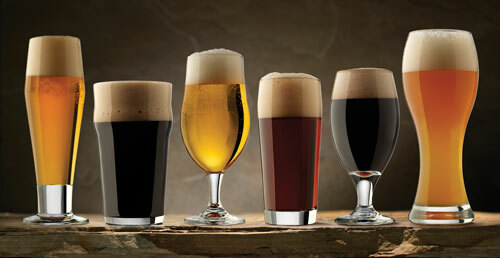 We have been getting more and more customers from brewing companies of all stripes and types. It turns out that many of them face a particular yet common problem with their hops supply going bad too quickly. Hops and hops pellets are an integral ingredient in the production for all types of beers and being a relatively sensitive ingredient, along with growing demand, the price of hops can fluctuate greatly and can be quite expensive. This is especially true when you look at exotic or aromatic hops used in specialty or seasonal beers. 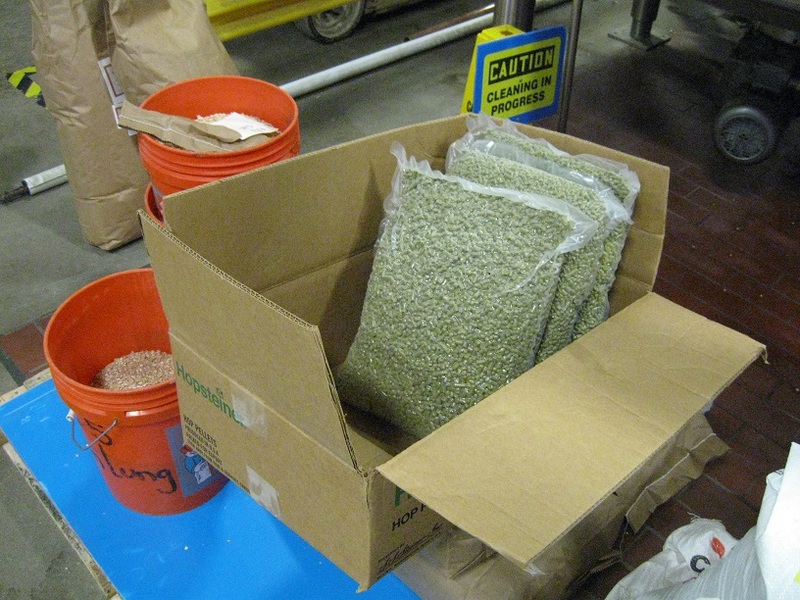 Brewers will receive their hops in bulk, perhaps in large bags of 25 lbs. ; the problem is, when a bag is not completely used and left unsealed, exposed to air, heat and humidity. The hops will oxidize changing its flavor and dramatically altering the beer, rendering the hops useless. Oxidation can occur very quickly. The hops must be repackaged in a way that will allow the brewer to continue using them at a later time, while maintaining a consistent product. It doesn’t make cents to through out or waste hops because of inadequate repackaging. Vacuum seal the unused hops and store until needed without losing any quality! To do this successfully, it is important to ensure you are creating a full vacuum (99.9%), and creating a strong dependable seal (double seal). Henkelman Chamber Vacuum Sealers do exactly this. There are no bells and whistles needed for this job, just a robust, well made machine you can depend on. We offer a specific chamber vacuum packer that seems to fit the bill perfectly, the Henkelman Jumbo 42 XL. This machine is large enough to vacuum seal 16″ x 20″ vacuum pouches, which hold approximately 15 lbs of hops. Yet the unit is small enough to fit on a countertop or a small table with casters for easy mobility. (If this model looks too big, check out the smaller version, Jumbo 30). 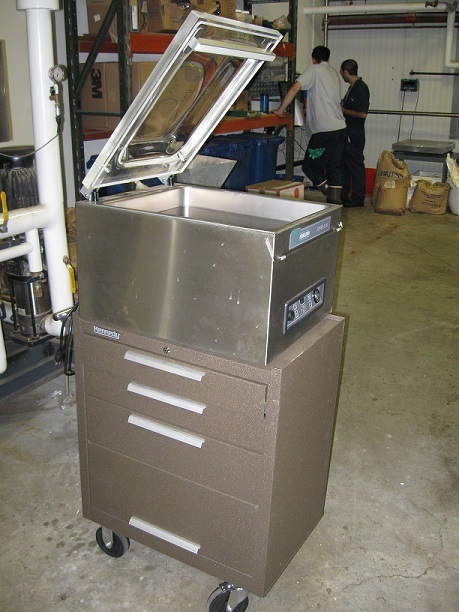 Another customer of ours that uses this same model of chamber vacuum sealer is, John I. Haas, out of Yakima, WA. If a specific hops type is used for a particular brew, or if certain batches are done during specific seasons, prepackaging ingredients for these recipes is a great way to ensure you will have the proper amounts of fresh ingredients, correctly portioned and of well-preserved quality to make the specific brew just as you planned. If you are testing different recipes in the lab, and are making several batches with alterations to the ingredients, you don’t have to worry about opening a new bulk bag of hops when you don’t plan to use the whole amount. Simply repack it under vacuum and store until needed. Also, since our chamber vacuum packers easily seal Mylar pouches, packing smaller portioned amounts of hops for home brew kits is another great use. Honestly, the uses for our chamber vacuum sealers abound, but they all come down to the simple fact that Henkelman vacuum packers perfectly vacuum seal products (food and non-food, alike) in a way that provides the longest extension of shelf life possible. If you have ever thrown out hops because they’ve oxidized or otherwise gone bad, take a look at Henkelman chamber vacuum sealers. There does exist a money and time saving solution for this problem and its name just might be, Henkelman. Congratulations to Kevin Gillespie and Gunshow ATL for their nomination to America’s 50 Best New Restaurants for 2014. The list was published by Bon Appétit, which briefly describes the restaurant’s unique concept. Apart from personally being a big fan of chef Kevin, I am proud to say he is a Vacuum-Packer.com customer, and happy owner of a Henkelman chamber vacuum sealer: Jumbo 30. If you ever find yourself in Atlanta, GA, Gunshow is a must. A Vacuum-Packed World Cup Opener! So the World Cup is about to start. Thursday, June 12 is the opening game. 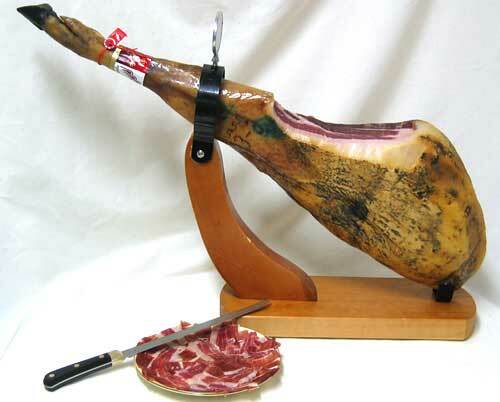 We here at Vacuum-Packer.com, being a very international group and avid futbol fans, will be having an Opening Day bash. The idea is to have a sort of Pot-Luck, where co-workers each bring in a little something to eat or drink for the group to share. One person may bring the soft drinks, somebody else a baked casserole of some sort – these things usually are not very good, culinary-wise. So I have decided to take it upon myself to try and elevate the food at this inter-office shindig by cooking something sous vide. I am still working out what that might be, but I would like it to reflect a little bit of my preference in teams, and this is where I am a little torn. Do I route-route-route for the home team, USA? Stay true to my Spanish/Mexican heritage, and to my time spent in Mexico? Perhaps I show some solidarity to the Clock Work Orange team of The Netherlands in support of our very good friends from Henkelman. Maybe I sous vide ribs; finish them on the grill with BBQ sauce (U.S.A.!, U.S.A.!). From the ribs I would remove as much fat as possible and cut them into manageable size racks, vacuum pack them in the Boxer 35 Chamber Vacuum Sealer, after seasoning with my special blend. Since they are pork ribs, we will cook them using our Pearl Fusionchef Immersion Circulator at 143ºF (61.5ºC) for 48 hours, to make sure they are tender and juicy. Due to the forgiving nature of sous vide and the cooking time associated with it, the ribs will be in the water bath ready when we are. Once the hunger grows to a growl, we will finish them on the grill. I usually do a quick sear on both sides, then brush a thin layer of BBQ sauce on one side, through it back on the hot grill – sauce side down. Sauce the other side and flip…and repeat. I do this maybe four times. I am no chef, but I think it gives the ribs a very nice BBQ and char-broiled flavor, and I must say, very good. Ahhhh…grilling some perfectly cooked BBQ ribs, drinking a cold Heineken under the warm Florida sun, with friends, in observance of the world’s favorite sporting event…you tell me a better a way to spend a Thursday afternoon. When I recently received my January/February 2014 issue of, Food Arts magazine, which I get regularly and love as a great resource on the current professional culinary world, I quickly noticed a particular article, Once and Future Kitchens. The article is an interview with renowned kitchen designer, Mark Stech-Novak, where the interviewer and Mr. Stech-Novak talk about the future of kitchens. They speak of conceptual food equipment ideas and tools, what the trends are currently, and where they are going. It is an interesting read, I recommend it. What I wanted to share with you was the prominent picture shown on the first page of the article. It is an image of Nathan Myhrvold’s Cooking Lab. He is the principal author of, “Modernist Cuisine: The Art and Science of Cooking”, which is a ground-breaking and notable five volume set of cook books on modern cuisine. If you visit the, Modernist Cuisine, website you will see he lists some recommended equipment on his, “Gear Guide,” it is a list of the different types of equipment used in modern cuisine. Under the “Must-Have Tools for the Modernist Kitchen” he lists one tool as being a chamber vacuum sealer. While he notes several brands including, Henkelman (Yeah! ), no particular brand is recommended over any other. However, the picture of his Cooking Lab from the Food Arts article, and shown on his website, seems to show his personal preference. You guessed it! 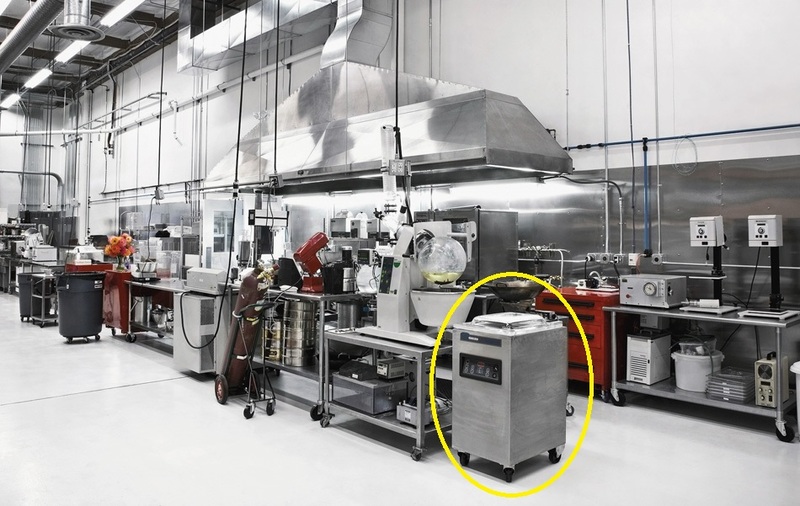 Front and center (well, to the right a bit) is the only really identifiable machine [brand] prominently displayed, a Henkelman Marlin Vacuum Packer. I cannot tell which particular unit it is, but my money is on it being a the more popular model, Marlin 52. This is certainly a larger unit than most kitchens need. Most use a Henkelman tabletop vacuum packer, like our the most popular model, Boxer 35, or the Jumbo 30 (both units are currently on sale at reduced prices!). Regardless of the size of the machine, all Henkelman vacuum packers are made with the same robust quality and attention to design. 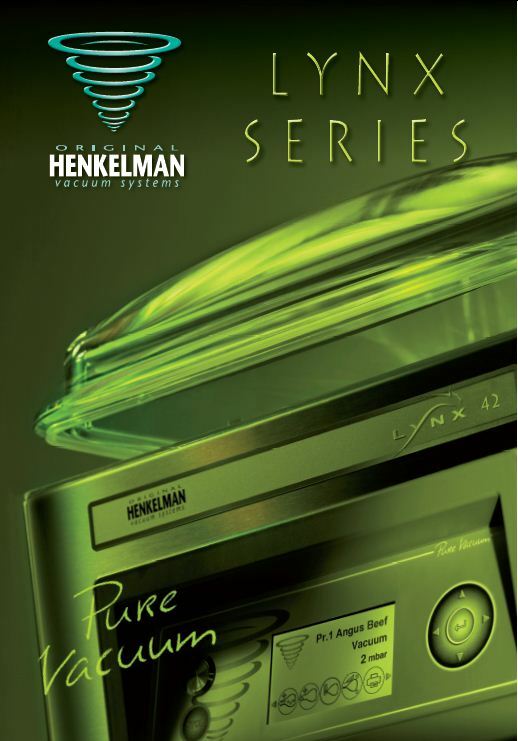 You simply cannot go wrong with a Henkelman vacuum packer. Remember, you can always find the best sous vide equipment from Henkelman and Fusionchef at, Vacuum-Packer.com. Vacuum-Packer.com has teamed up with FinCap, LLC to offer our customers financing options to purchase Henkelman Vacuum Packers and sous vide equipment. Over the years customers have requested financing options and payment plans to facilitate the purchase of sous vide equipment. Many customers took the time to email and ask the question; Vacuum-Packer.com took the time to find a solution. Customers frequently express a strong desire to own a Henkelman vacuum packer or Fusionchef immersion circulator. They are either interested in cooking sous vide the right way, or simply extending the shelf life of their products through vacuum packaging in a professional, consistent manner. We are confident that teaming up with FinCap, LLC, a customer service-centric financing company, will offer a welcome solution to help our clients get the equipment they need. By clicking the “Apply Now” button, which is prominently displayed on applicable product pages throughout the site, you will be taken to an easy, single page application form. Once completed and submitted, you could be approved within hours! The process could not be simpler. The fine print: The minimum amount is $1,000.00 and is primarily available to our commercial customers. If you have any concerns, doubts or questions regarding this financing option, our products or the services we offer, please contact me at your convenience. My name is, Trey Rios, and I am delighted to speak with you about the process, the equipment, cooking sous vide, and all things vacuum packing. Not long ago I had the opportunity to speak with a good customer of ours, Jeremy Karp, an accomplished chocolatier in Portland, OR, who has been preparing ganache for truffles and bonbons sous vide. I thought this was really interesting, and another great way to implement efficiencies in certain food preparation tasks utilizing the sous vide technique. Using a Henkelman Jumbo 30, the chocolatier is able to pre-prepare, store and later use larger batches of infusion for his production of ganache. The beauty of sous vide is not simply the difference in the end product achieved, but the production planning possible when vacuum packing (i.e., extending the shelf life of your product without lose of quality), and heating or cooking your p roduct at very precise temperatures. Not to mention the consistency with which each and every batch, component or dish is prepared. What do you sous vide? The battle of choice between two superb chamber vacuum packers can sometimes be a difficult one. Some would automatically assume that this equipment is used “in back of the house,” kept in some back corner of the kitchen. After all, Henkelman vacuum packers, while well designed, are work horses. However, as kitchens become more open, and the audience or diners, in fine restaurants enjoy viewing the craft involved in creating their plates of food, aesthetics becomes ever more important. You will notice that the Lynx 42 is more expensive, but offers a longer seal bar (16.5 inches) and a variety of features not offered on the standard Boxer 35 unit. This control system comes standard with the Control Sensor (Vacuum by %); 20 program memory, a USB port to program settings on your PC, and transfer the information with a thumb drive. In addition, a Henkelman thermal label printer can be connected to the unit to print self-adhesive labels for your vacuum-sealed packages. (The Advanced Control Systems can be fitted to all units, except Jumbo models). The label printer automatically creates a self-adhesive label to be placed on the vacuum packed bag. The label can have information pertaining to the level of vacuum created, name of the product, date product was packaged, etc. The Lynx Series of vacuum packers is built to be shown off. It’s sleek design and flat work top are perfect for open kitchens. The Lynx 32 and Lynx 42 are unafraid of the lime light or heating lamps, but the real beauty of the Lynx models is that they fulfill both fashion and function, staying true to it the Henkelman tradition of uncompromising quality. 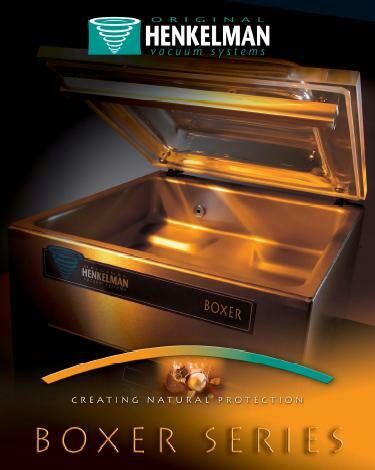 The Boxer 35, on the other hand, is the most popular model in the Henkelman line-up. This is because of the economic price it is offered at, the strong Busch vacuum pump for the size of the chamber, and because we offer this particular model standard with the Sensor Control (Vacuum by %) option (usually an additional cost with other models). The value to our customers make these models of machine a sound investment. In fact, this applies to all models manufactured by Henkelman. 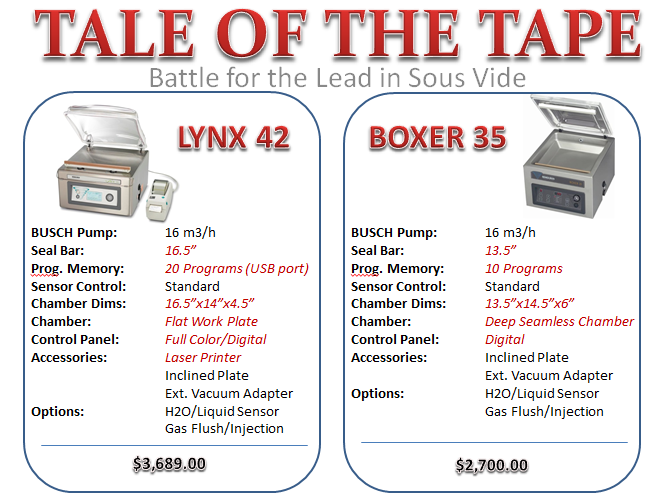 Bottom line, both the Lynx 42 and the Boxer 35 are exceptional vacuum packers. Which vacuum packer will you choose? So, my wife and I enjoy watching cooking competition shows on TV: Top Chef, Chopped, Hell’s Kitchen, etc. Certainly, some are much better than others, but these fulfill our curiosity as food and cooking aficionados as well as our silly guilty “Reality TV” pleasures. 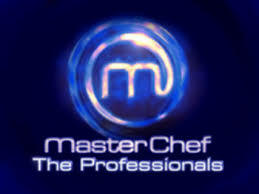 Recently, we came across, Masterchef UK: Professionals, on the BBC America channel. This has become one of my favorite cooking shows. Granted, the brits certainly do not have the flair for the dramatics like us Americans do, but for reality television the quality of the chefs and food prepared carry it very well. Something that took my wife and I by surprise was the frequent use of the sous vide technique in almost every challenge and cooking test. They used it to cook all types of proteins, of course, but also for preparing compressed fruit, vegetables, and even custards. Once the contestants are whittled down to the finalists, they are sent to work the line at Michlin-starred restaurants, and be evaluated by the chefs. Conveniently, all of these kitchens used sous vide preparations, in some manner on their menu. I was very pleased to see how normal the technique is in these professional kitchens. How commonplace vacuum packing and cooking under vacuum (sous vide) has been adopted despite it being a modern technique.